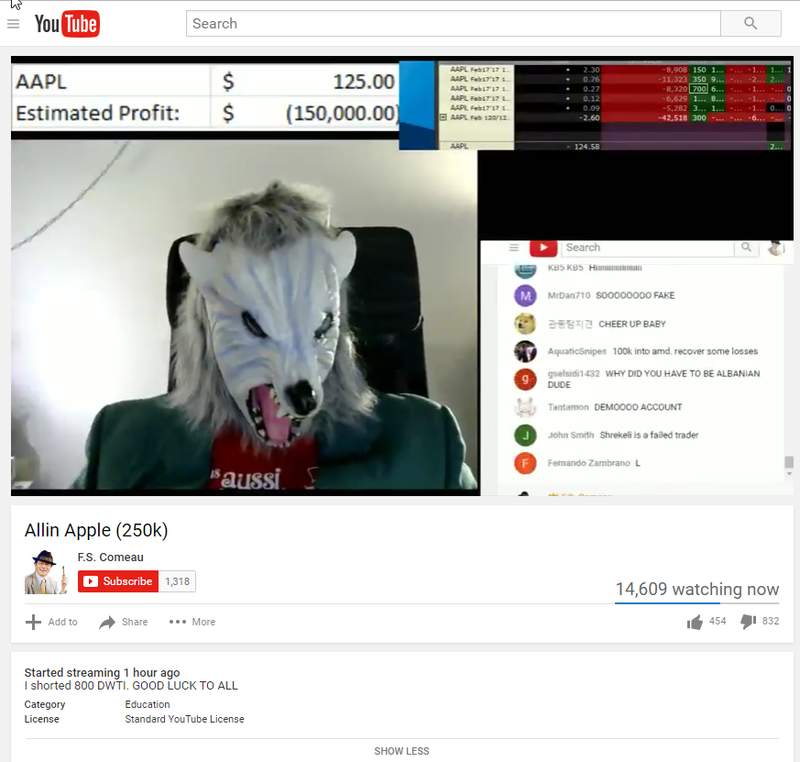 Years ago, I had a blow up video where lost around 30k trading with Interactive Brokers. I was over-leveraged on a trade and it cost me. There are traders that go all in on trades everyday, and many fail. Don't bet your life savings on any trade. Trading isn't easy. The profits are hard to make and the losses can get bigger then you think. I've been trading for 11 years and the first few years I made some bad mistakes which all stems from discipline and having a trade plan. Things can be much easier if you automate your strategy and have the computer get you out. 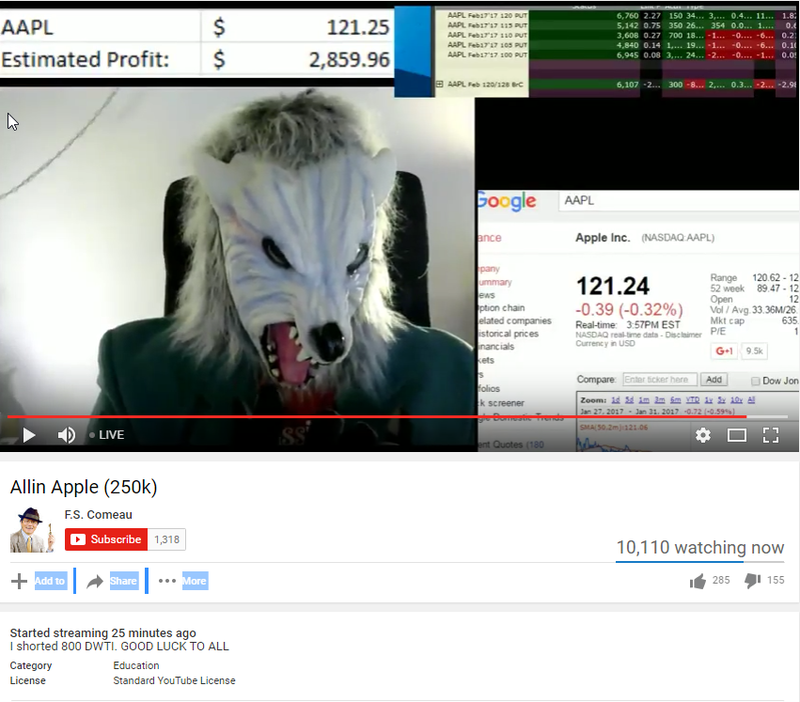 The Wolf trader made a big bet on AAPL earnings today where he basically bet the stock would go down. 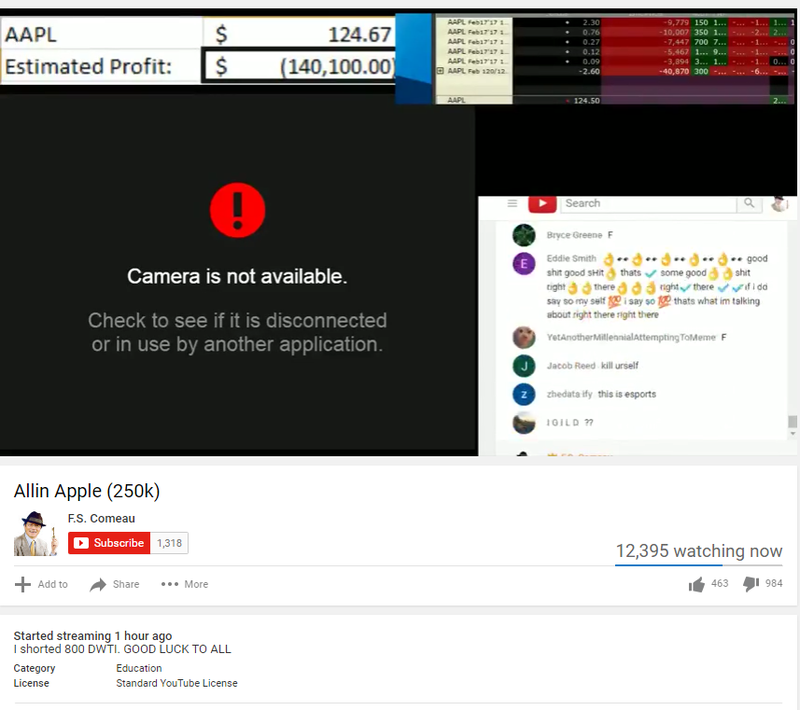 He bought a ton of puts and sold even more calls against it to lower the margin so he could do even larger size. He over-leveraged the trade to where he would either make a lot or lose it all. The trade did not have a high probability of working out. Most professional traders would prefer to sell vol going into earnings. It appears that the Big trade that sparked media attention on Reddit and Youtube was fake because the guy behind it was using a Demo account. You can tell because there is a D in front of the account #'s, which means it is a simulation account with Interactive Brokers. He setup the blowup video in many ways similar to mine, except I used many more F-bombs and lost real money. I took down most of my videos off of the internet that I could find, but I'm sure there are still some out there floating around on the internet. It seems the mass media just can't get it right. First they were wrong about the Brexit vote (Leave! ), then the presidential election (Trump! ), and now OPEC's decision to cut (Cut!). At one point today Brent Crude futures were trading over 10% on OPEC's decision to cut production by about 1.2 million BPD. This was OPEC's first cut since 2008. Today was a historic day for the United States, with Donald Trump becoming the 45th president of the United States. With almost all of the online presidential polls indicating Hillary was going to win with about 85% odds in her favor(with notable exception Nate Silver) , things were looking like a done deal for Hillary and the Democrats. Things started to change as soon as the voting had stopped in Florida and the tallies started coming in. It was apparent as soon as Trump gained traction in Florida that the market was reacting negatively. As time went on and Trump gained in Indiana and North Carolina the market reacted much more negatively, so much so that ES ultimately touched limit down (-5%). It wasn't until later on in the night after Hillary conceded that the market started to come off the lows. Once Trump gave his victory speech the market went into rally mode and came all the way back to down -30. 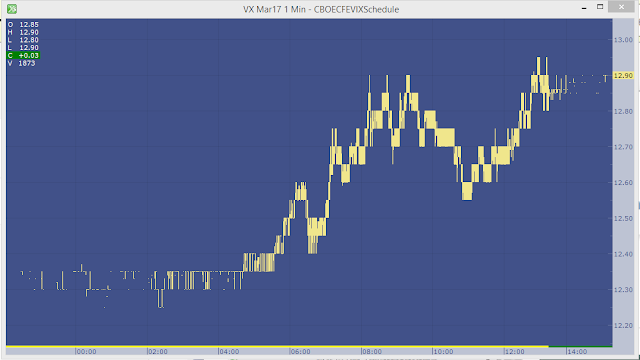 ES ended the day up 1.11% and the Vix Index was crushed. It all came down to Florida. Vix crushed as usual. 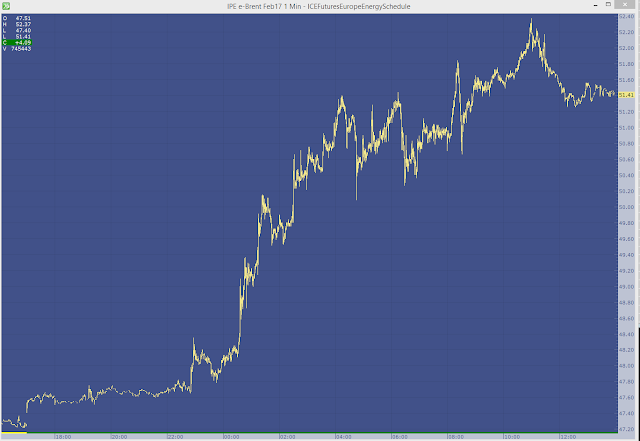 Looks similar to Brexit spike but on a much more condensed time frame. Please note the Values plotted are formatted as a percent. You can multiply by 100 to get what you would expect. In future charts I create I will adjust this (Google sheets formats slightly different vs Excel). I created this chart using historical data from Yahoo Finance imported into Google Sheets and then I created a chart from my published google sheet using Google Fusion tables. 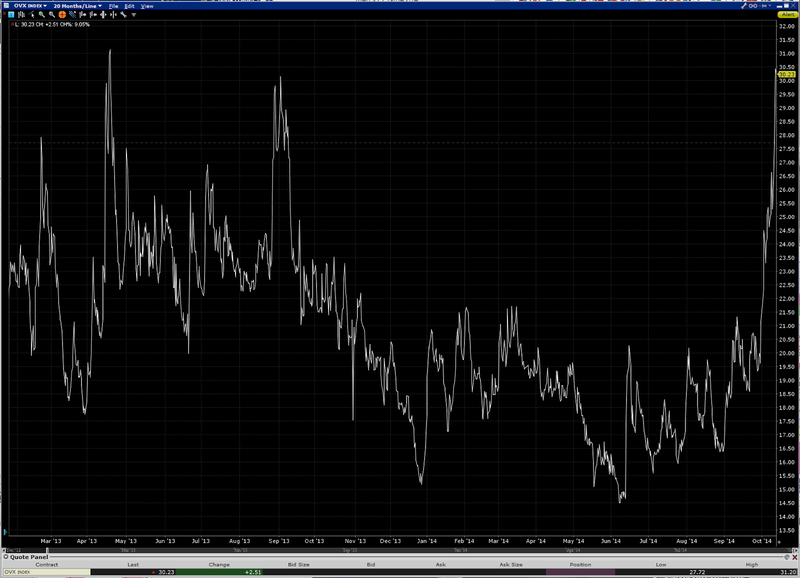 Here is a chart S&P500 Historical Volatility going back to 1950. 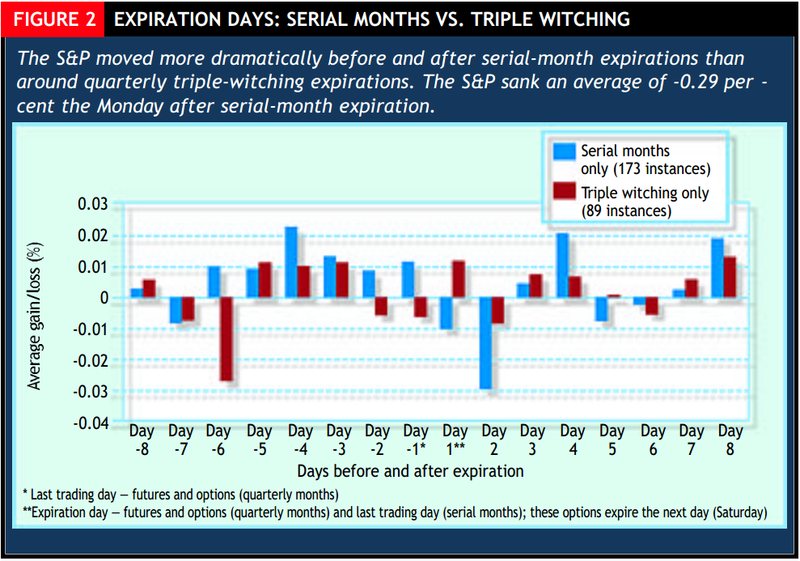 I have plotted 30 and 60 day Histoical(realized) Volatility, as well as 5 vs 30 day Volatility on the chart. The chart will be not be updated, but in the future I will make charts that will. 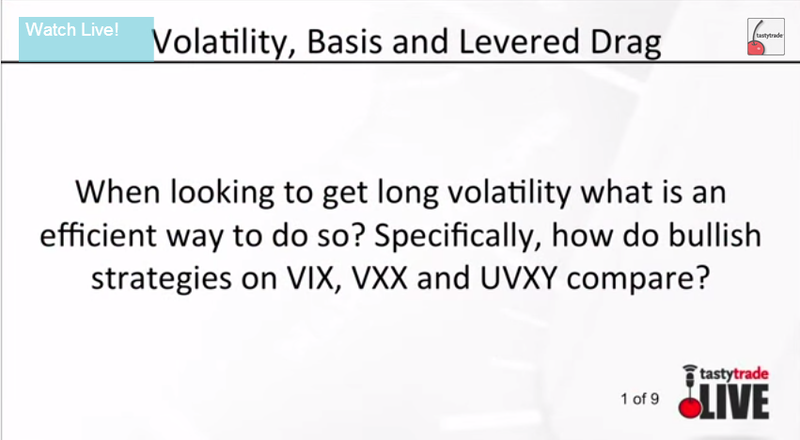 I plan on making other charts comparing S&P500 Historical Volatility vs the VIX index so we can see the difference between Realized and Implied Volatility for the S&P500 Index. 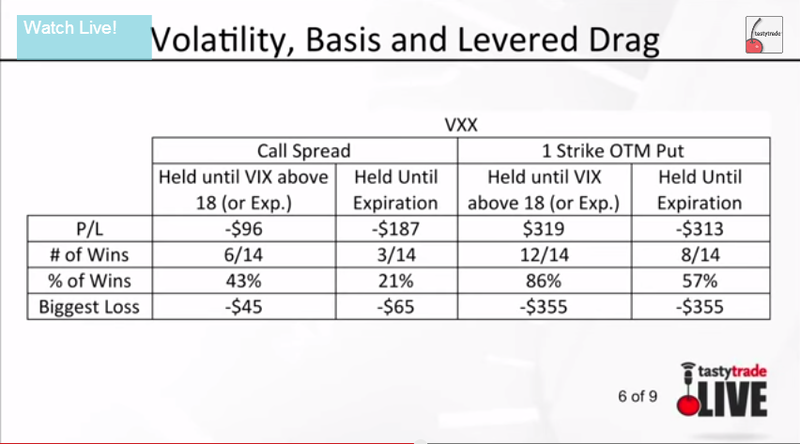 A popular Vix spread among traders is the VIX / VXV spread; or 30 vs 93 day volatility. You can read more about it on the VIXANDMORE Blog. 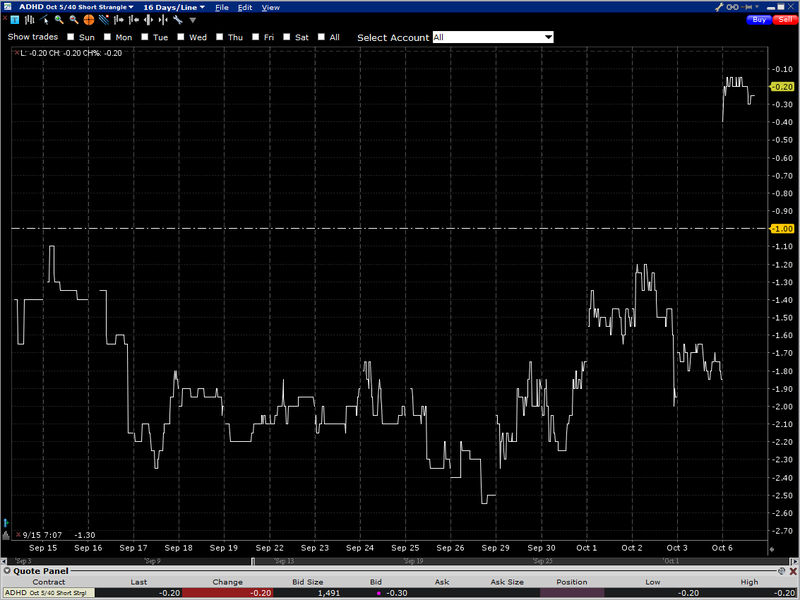 Chart of the OVX; Crude Oil Volatility Index. 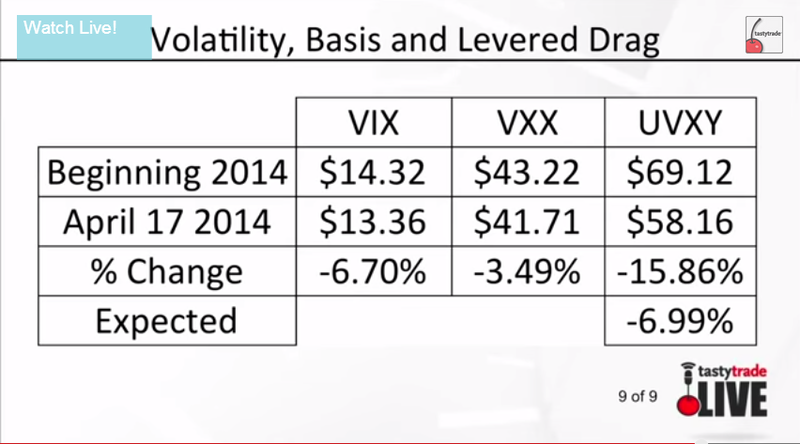 The two stocks with the highest option implied volatility trading this year released results today. 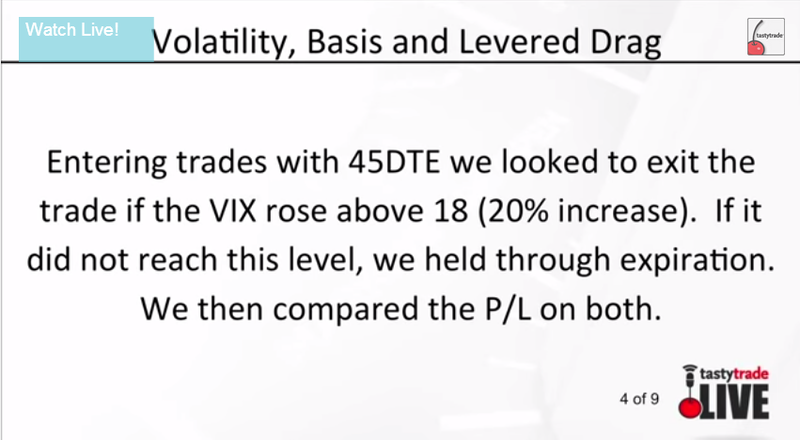 The 2 Stocks were; ADHD and SNSS, two biopharma stocks that had implied volatility over 300% and in the days leading to the announcement of their phase III results implied vol spiked to over 500%. 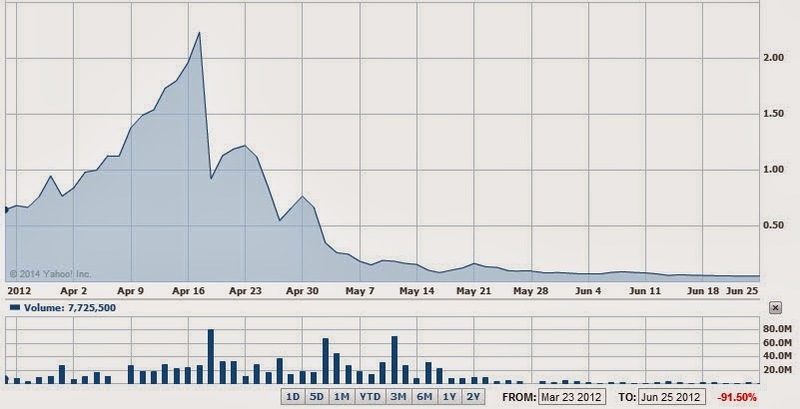 The days leading up to the announcement ADHD stock was zig zagging up and down 15% a day. The stock was a big gamble, with around a 6 million share float, it was poised for a large move on the news release. I don't know who in the world would be buying or shorting shares ahead of the news release. The real money to be made was in the options. 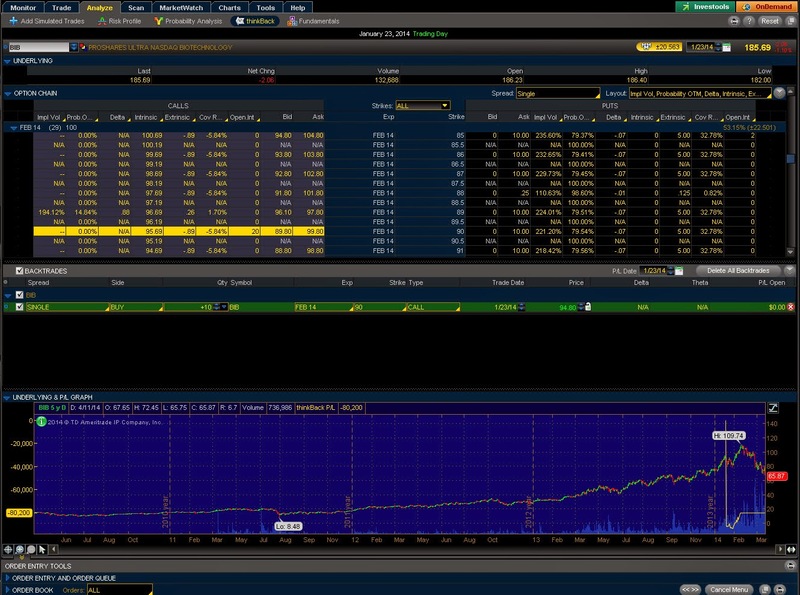 The OTM $40 calls on ADHD were trading at over $1 the previous trading day and now they will expire worthless, The stock would have had to spike around 300% in order for you to take any heat on the trade. Meanwhile the $5 puts were trading over $0.50 the previous day and now are going for around $0.20. 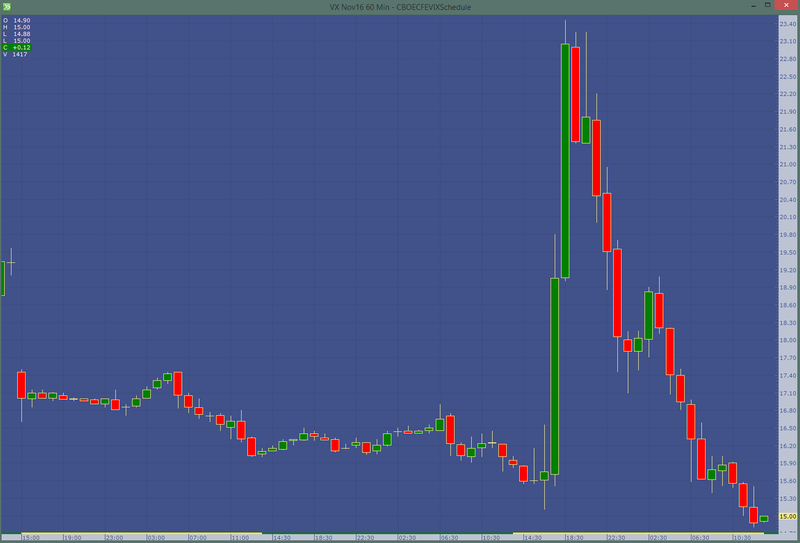 The ideal trade on this stock was selling the strangle ($5 puts and $40 calls). Something to note leading up to the press release was the short sale ban imposed by some brokers (ie. Interactive Brokers) and the price drop leading up the final days before the news release. One can speculate that the only person that would short a stock with pending phase III results was doing so with knowledge of what the outcome was. Here are some charts and numbers. 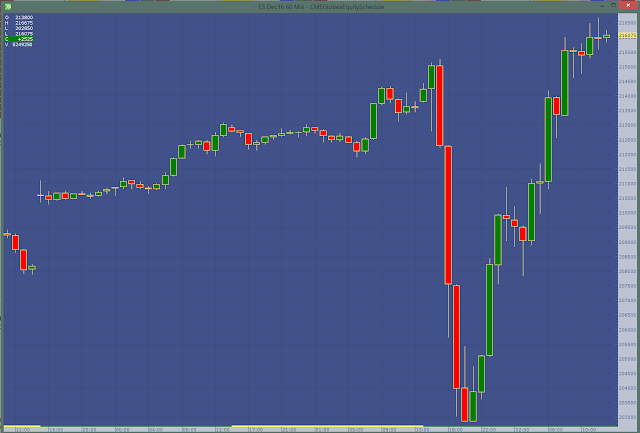 If you thought you could sell the OTM calls at the open, you couldn't, the market makers aren't that dumb. 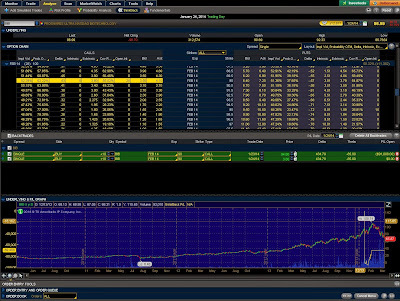 The OTM calls all opened with 0 bid and 0.05 offer. As the day progresses, the available short shares available at IB shrinks along with the stock price. ADHD Borrow rates leading up to the news release. "A casino offers a game of chance for a single player in which a fair coin is tossed at each stage. The pot starts at 2 dollars and is doubled every time a head appears. The first time a tail appears, the game ends and the player wins whatever is in the pot. Thus the player wins 2 dollars if a tail appears on the first toss, 4 dollars if a head appears on the first toss and a tail on the second, 8 dollars if a head appears on the first two tosses and a tail on the third, 16 dollars if a head appears on the first three tosses and a tail on the fourth, and so on. In short, the player wins 2k dollars, where k equals number of tosses. What would be a fair price to pay the casino for entering the game? Assuming the game can continue as long as the coin toss results in heads and in particular that the casino has unlimited resources, this sum grows without bound and so the expected win for repeated play is an infinite amount of money. Considering nothing but the expected value of the net change in one's monetary wealth, one should therefore play the game at any price if offered the opportunity. Yet, in published descriptions of the game, many people expressed disbelief in the result. Martin quotes Ian Hacking as saying "few of us would pay even $25 to enter such a game" and says most commentators would agree. The paradox is the discrepancy between what people seem willing to pay to enter the game and the infinite expected value." 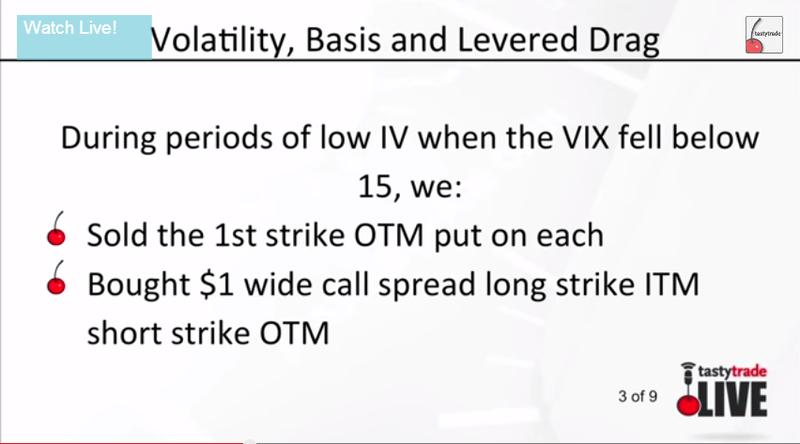 Tastytrade had a great video explaining the difference between making bullish bets on VIX, VXX, and UVXY when the VIX index is below 15. 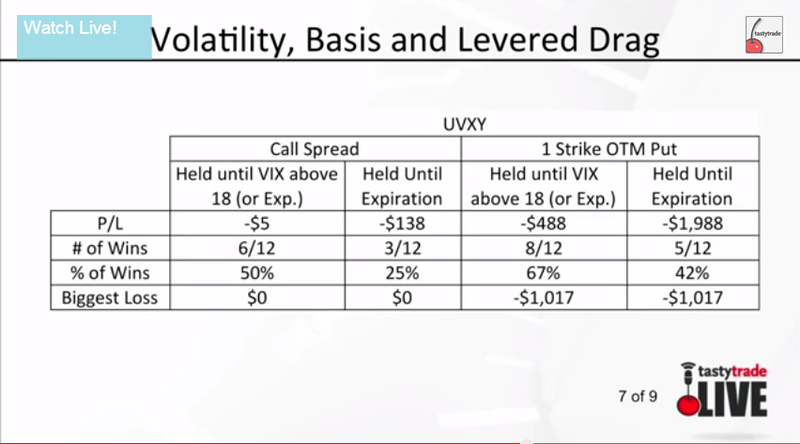 To summarize, the 2x leveraged ETF UVXY performed poorly for the long volatility strategy compared to the index and VXX and it was mainly due to volatility drag or more simply, negative compounding due to high volatility over a period of time. 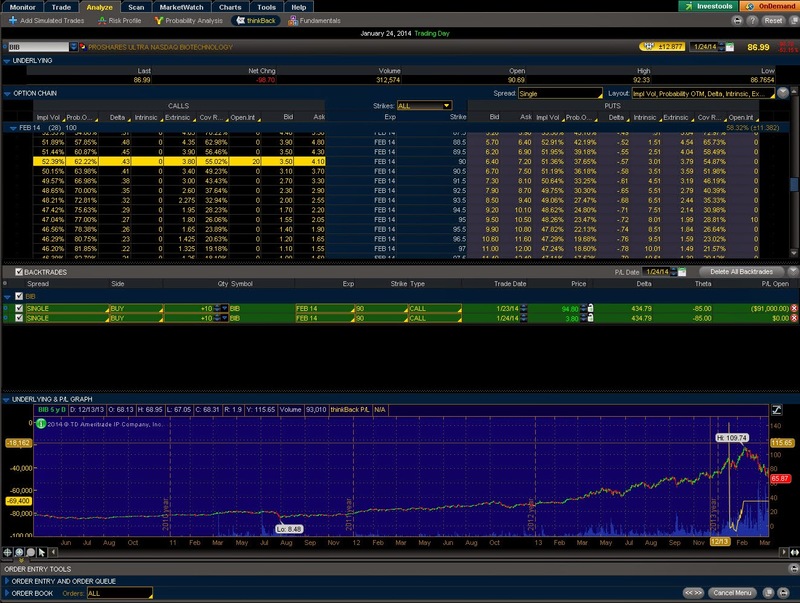 While backtesting some option strategies in TOS I noticed a problem with the thinkback tool. 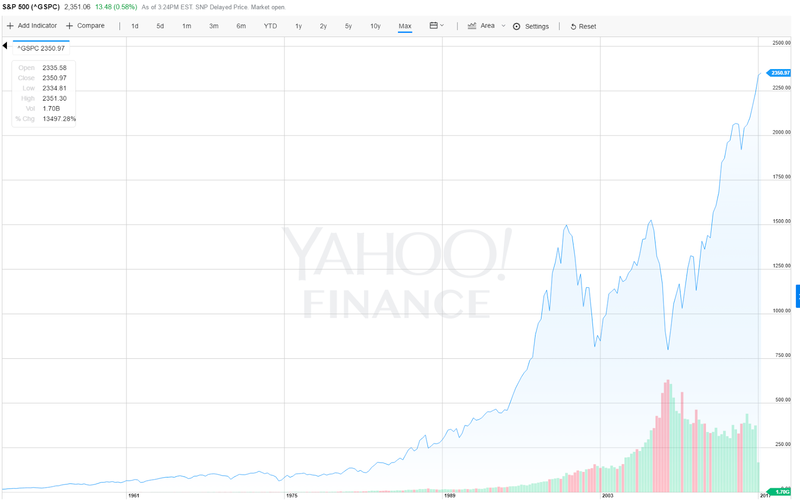 When a stock price splits / reverse splits, the option prices don't reflect the stock price split. 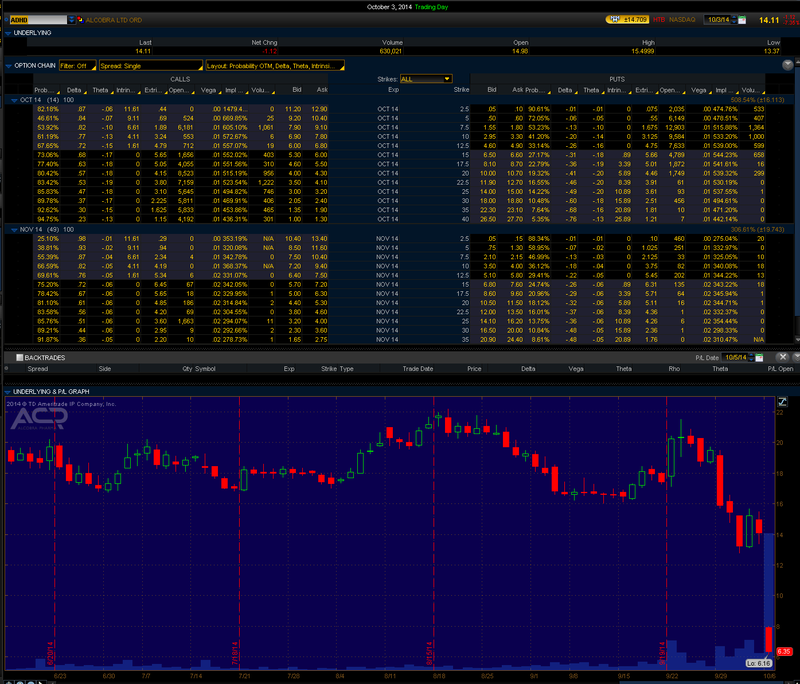 Instead the options are now priced to the new stock price without adjusting for the split. ThinkorSwim is working on resolving the bug. 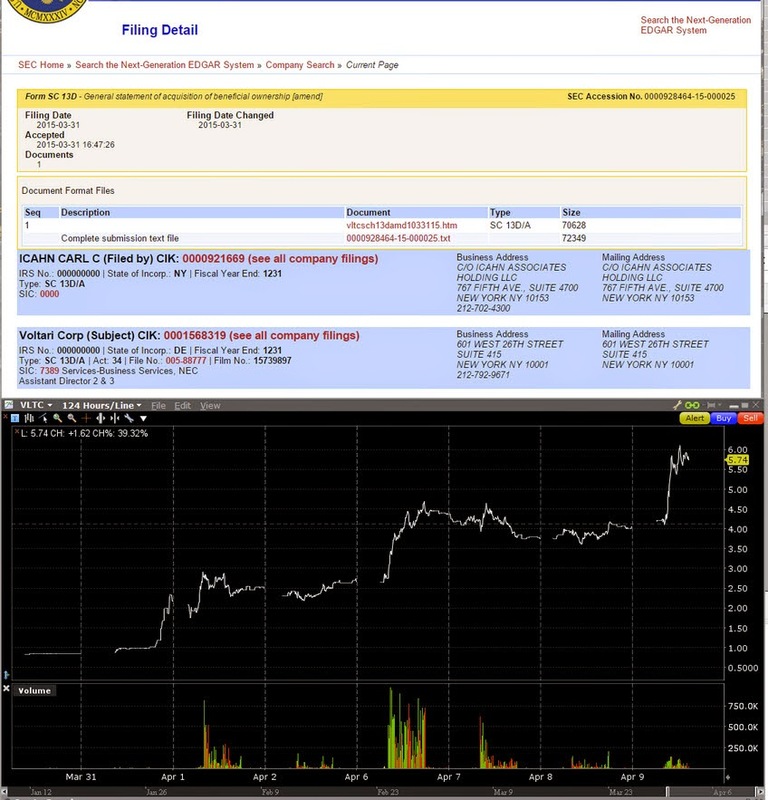 Example- BIB had a 2:1 stock split 1/24/14. BIB 90 strike CALL 1/23/14 = 94.80. I'm sure many people have recently seen the movie "Wolf on Wall Street" and wondered how people could get peddled into buying such crappy companies back in the 1980's and 90's. Surely this wouldn't happen again in today's time with all of the information freely available by doing a quick search on Google. Well, these pump and dumps scams still continue to happen everyday, and I'm shocked at the most recent story concerning one of the biggest pump and dump promoters to date; John Babikian. There are numerous articles (1 , 2, 3 ) telling the story of how he used his website Awesomepenniestocks.com to pump and dump penny stocks, and all the while make millions in the process. It just makes me sick to think that people still fall for this stuff everyday. 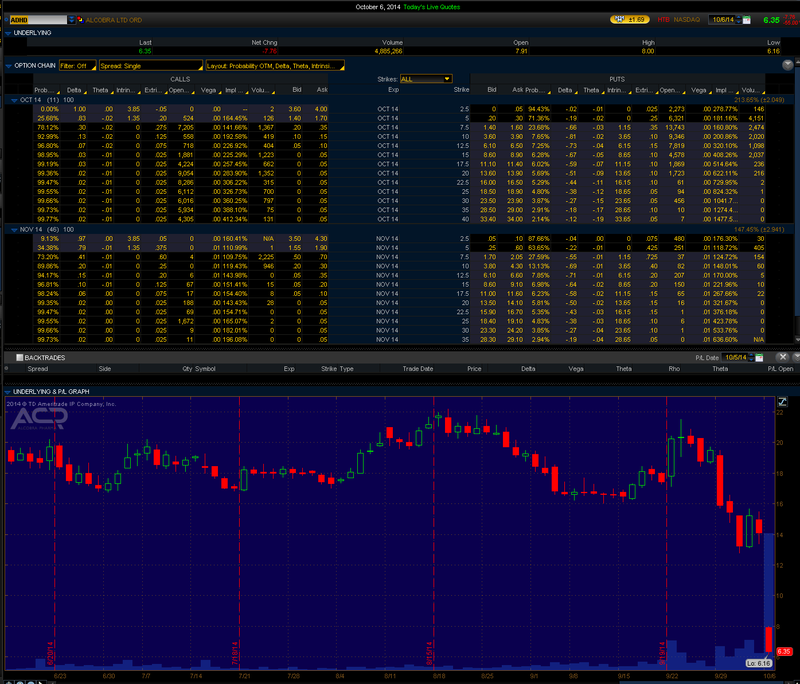 There is a website detailing most of the penny stocks that the promoter pumped at awesomepennyscams. Please do your research before ever trading any of these stocks. I myself keep hearing about how people are becoming millionaires trading these penny stocks, but I guarantee you there are far more people losing than making money trading these OTC stocks. Trading is a very had business to be in and penny stocks are the riskiest of all the types of stocks you can trade. Do not believe the hype or believe that it's easy to become a millionaire trading these stocks. This website has data sets of almost everything. They even have multiple months of continuous futures contracts. You can combine all of this data with a variety of different programming languages. They are even tracking Bitcoin, housing, demographics, and a ton of other subjects. R project - R is a free software environment for statistical computing and graphics. It compiles and runs on a wide variety of UNIX platforms, Windows and MacOS. R Studio - RStudio IDE is a powerful and productive user interface for R. It’s free and open source, and works great on Windows, Mac, and Linux. R Cookbook - Download link to an introductory book to learning R.
R Tutorial Blog - A blog with lots of R tutorials. Coursera's R course - Recorded R lessons from Coursera on youtube. R Intro Book - Another great introductory pdf book on R.
Over the years many discretionary traders have moved on to other jobs. Today's traders have evolved into trading from a more quantitative/automated approach. 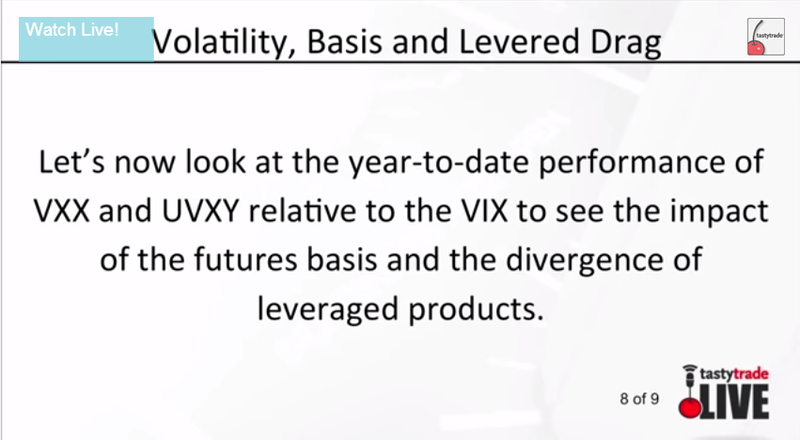 Trading volume the last 3 years has been decreasing and the ability to scalp the emini's has been increasingly difficult for discretionary traders. I was checking out my old but popular Trading Blogs list and found that most of the blogs have vanished or the authors stopped posting around 2009. I would like to link some new interesting blogs and trading related websites that I checkout frequently. ZeroHedge - The main author who calls himself by the popular fictitious movie character; "Tyler Durden", from the movie Fight Club, and various other authors report the news. They also have a separate live news reporting broadcast(Talking Forex). They report some good information, but take everything they write with a grain of salt and try not turning into a doom and gloom fan or gold bug. Quantum Blog - A quiet matlab / algorithmic trading blog that discusses his backtesting results. He also authors the blog Trading with Python. Milk Trader - Another aspiring automated trader that writes about his coding in "R" and shares backtest results from various strategies he's tested; the breakfast spread is my favorite. Quantifiable Edges - A long standing blog that shares a plethora of backtest results from Gap trades to day of the week probabilities. Systematic Investor - A systematic approach to trading focusing on long/short strategies, technical analysis and lots of code samples with backtest results. 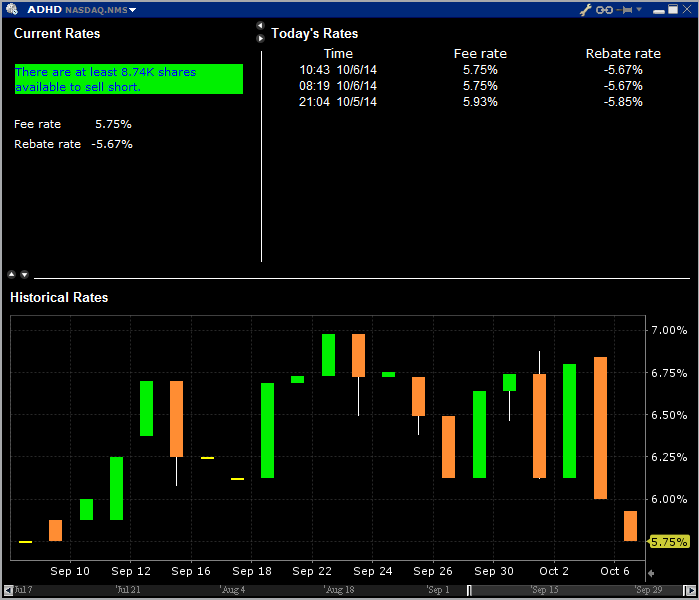 Timely Portfolio - Another R blog with lots of backtests and strategy discussion. Mebane Faber - A portfolio manager at Cambria Investment Management shares his model and discusses strategies and trends. Quantitative Trading - Ernest Chan's blog on trading strategies. 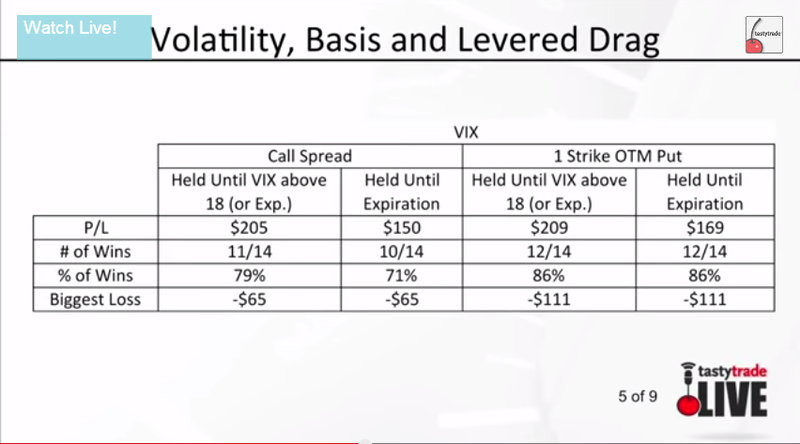 Condor Options - Lots of good articles on options, spreads, and volatility. I am futures Trader - Chris, an independent trader gives his take on the market and setups he's looking at. 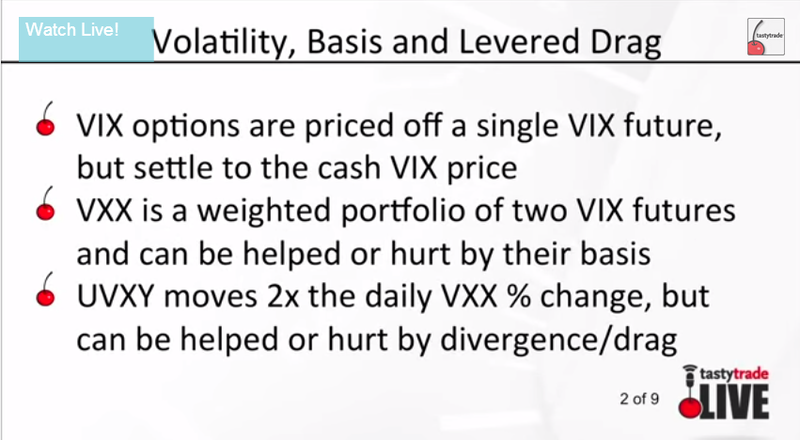 Michael Covel - Lots of good interviews from professional traders and trend following strategy information. 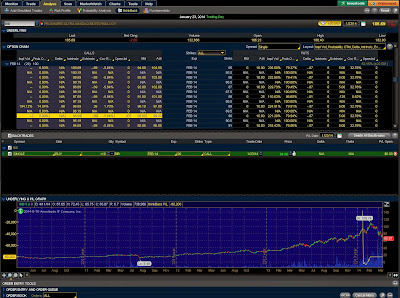 Automated Trading System - Trend following systems and performance results as well as free code. Automated Trader - A website with articles, news, videos and more on everything automated. Learning Markets - Great articles on trading. 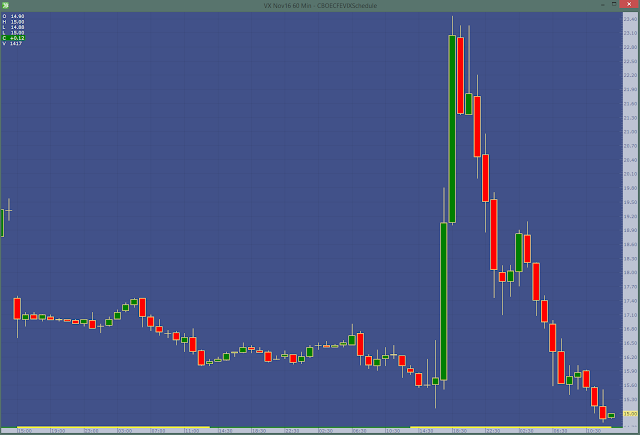 Scarr Visual Trading - Spread charts, some free, most for a subscription. The ability to compare up to 5 years at a time on a spread from one year vs another is nice. Now if only someone made a website with historical term structure charts going back 10 years. 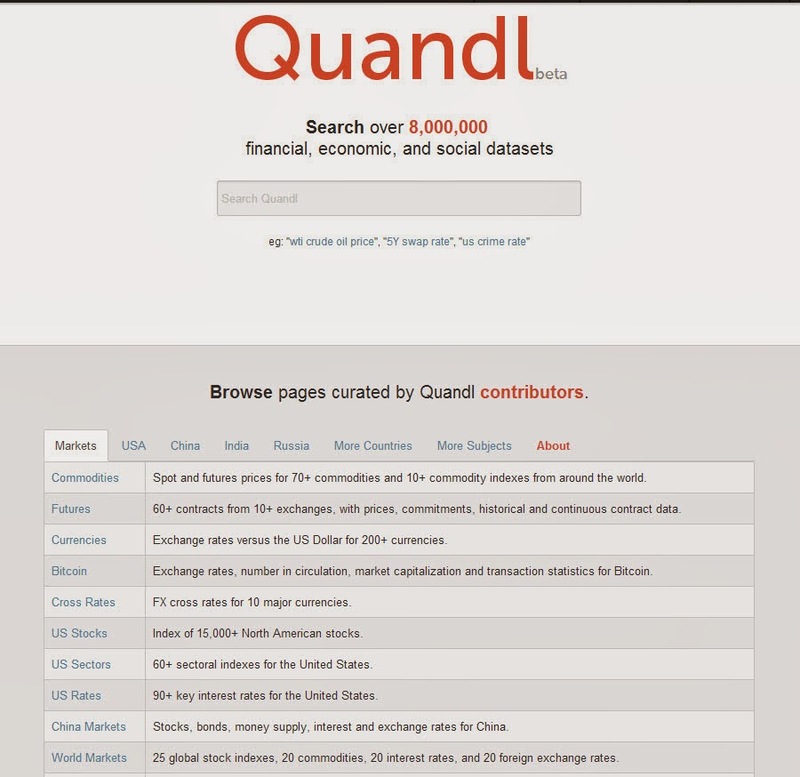 Quantpedia - A new website made from the guys at FinFiz that provides proven trading strategies (mostly taken from white papers) and lets you decide which one to trade, with a subscription of course. Not that expensive if you consider the alternatives to spending hours scouring finance journals, algotradinggroup forum or SSRN.